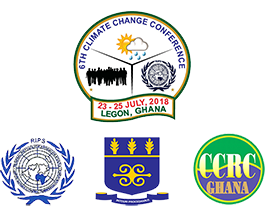 To bring stakeholders across academia, policy and practice, civil society, industry and business together, having shared values to fight climate change. To demonstrate the interdependence of population issues and climate change across the African continent. To learn from best lessons on climate change science, policy and practice globally having positive outcomes for Africa.